A lavender Freshwater pearl bracelet is a very delicate jewellery item that will subtly enhance any woman’s beauty. When worn on its own, it symbolizes an understated beauty that suits women of all ages. So let us help you to decide what bracelet you should be choosing. 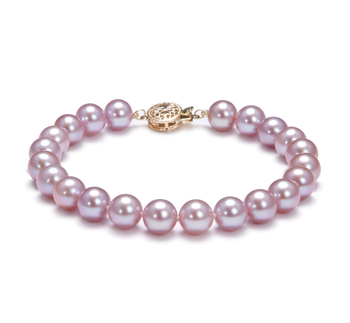 This very simple bracelet provides you with an easy way to include pearls into a jewellery collection. 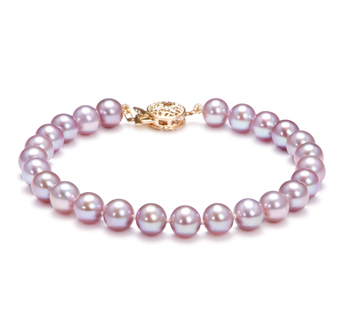 The various sizes pearls used in the designs we offer really make such pieces very versatile to wear. The smaller pearls would look lovely when you pair them with more casual outfits. Whilst a Lavender Freshwater bracelet that comes with pearls that measure between 8.5 and 9.5mm in diameter would look lovely when worn with semi-formal attire such as a business suit. Any woman would be happy to be presented with any kind of pearl jewellery even a beautiful Lavender Freshwater pearl bracelet. This would be the perfect event to present your wife with such a unique present. 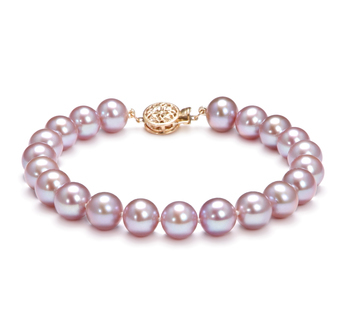 A pearl bracelet is a very versatile piece of jewellery that can easily be worn with various different outfits.